The vision and purpose of the Potters Hand Foundation is to bring the Reliv International, Inc. nutritional supplemental products for children, which are so successful in making a difference in the lives of children around the world to the children of Peru! 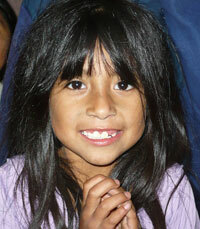 These programs to be followed by helping children who live in poverty with educational and vocational opportunities. The Potters Hand Foundation is a project of United Charitable – a registered 501(c)(3) public charity. We are defined and characterized by our relationship with God and the love and message of our Lord Jesus Christ.